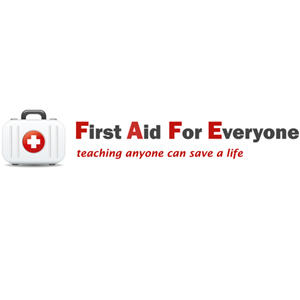 Besides First Aid we want to provide you with some helpful links to sites that offer services for parents and children. All those sites have been very carefully selected by us. We believe it is worth your while to visit those sites as they provide exceptional services that might be of interest for you. Professional Childcare & Nanny Services. Everything you need for caring for your child. Parenting Solutions also offers a variety of parenting courses. RollerCoaster.ie is a virtual meeting place for hundreds of thousands of parents all over Ireland, where they discuss issues and get valuable support at all stages of pregnancy and parenting. There’s also Mums2Be Clubs, Baby Clubs, Expert Advice, Blogs, Prize Giveaways, and lots, lots more. Not sure how to entertain the kids…? Let PartyKidz.ie come to your home or venue and look after the party for you! We have used PartyKidz.ie ourselves and can only highly recommend them. Little Miracles offers you: Antenatal Classes, Baby Massage, Postnatal Home Visits, Breastfeeding Assistance and Mother & Baby/Toddler Fun. Leinster Driving Campus offers a unique driver training experience. The purpose built facility is the first of its kind in Ireland with over 2 km of total road length based on a private 5 acre site. Teenager as young as 14 can gain invaluable experience behind the wheel of a dual controlled car in the safety of a private road network. MummyPages.ie is Ireland’s best pregnancy and parenting website. Every month, parents and parents-to-be, visit our website for the most comprehensive and helpful information in Ireland, expert advice and friendly support. Why not visit today? Babies and Children as safe on their holidays as they are at home.